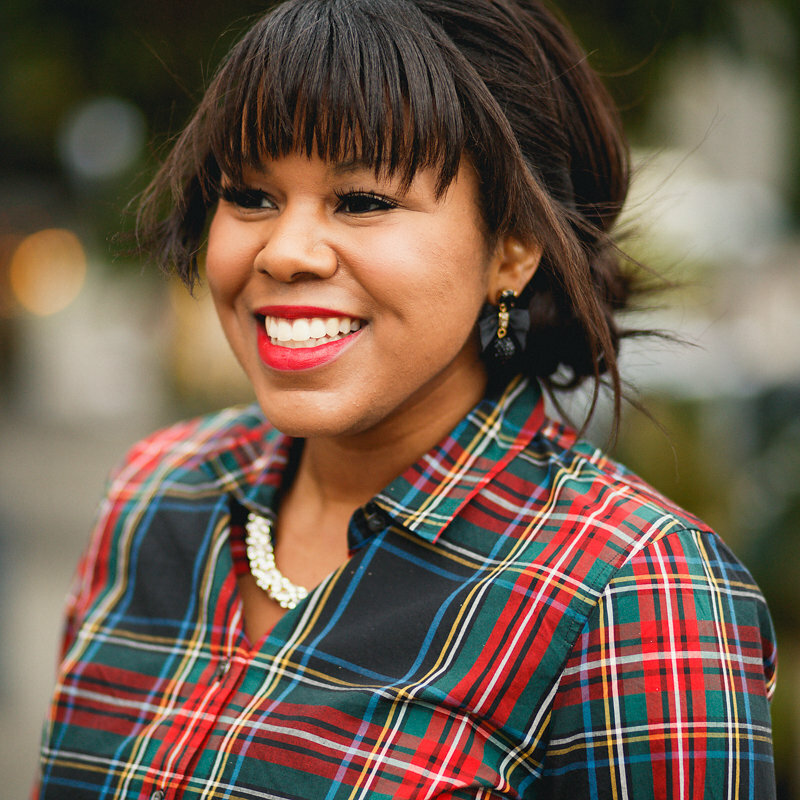 This week I am collaborating with MaRae from The Always Fabulous. 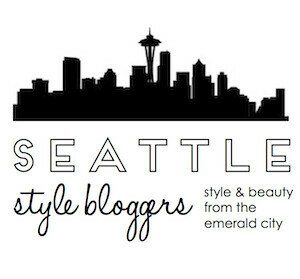 Check out her blog if you haven’t already. Not only does she have great style but she is so sweet and down to earth. For this partnership, we will both create two looks with similar items in our closet. The first theme is chambray. 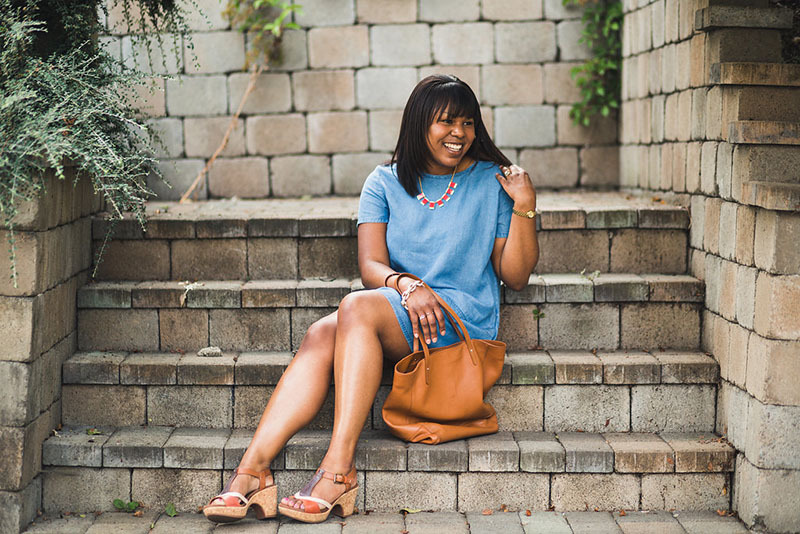 I have been on the hunt for the perfect chambray dress. This is no small feat, given my short stature and broad shoulders. I found this dress on a thrifting trip with my friend Kelly. The fabric is made out of tencel (so flattering) and the length is perfect. 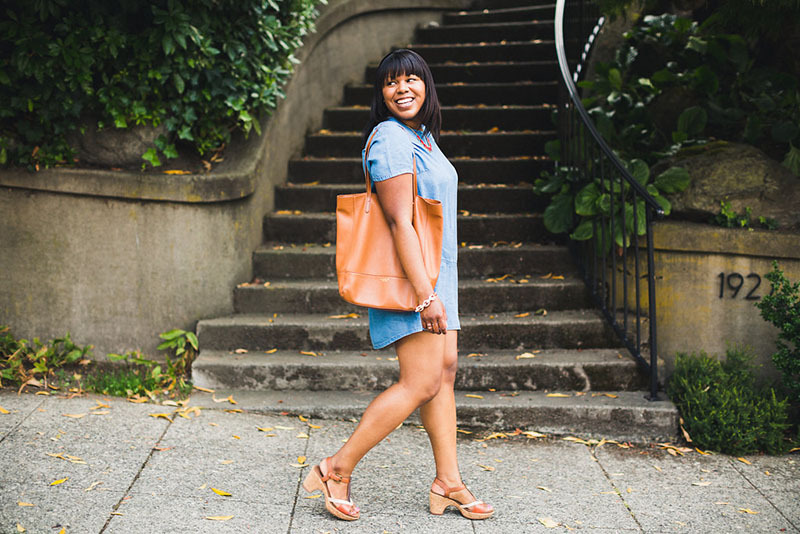 I’ve been seeing a lot of tencel/chambray dresses and have linked some below. The shoes are also thrifted. I was ecstatic when I found these Cobb Hill (comfort brand) sandals at the local Buffalo Exchange. They are in mint condition and look like they have never been used. I am obsessed with the tri-color scheme. To top off the look I added my trusty Lauren RL tote and this fire orange necklace. Thanks so much for reading! Definitely swing back on Thursday for the second look. Loving the dress. Your pictures are so beautiful. 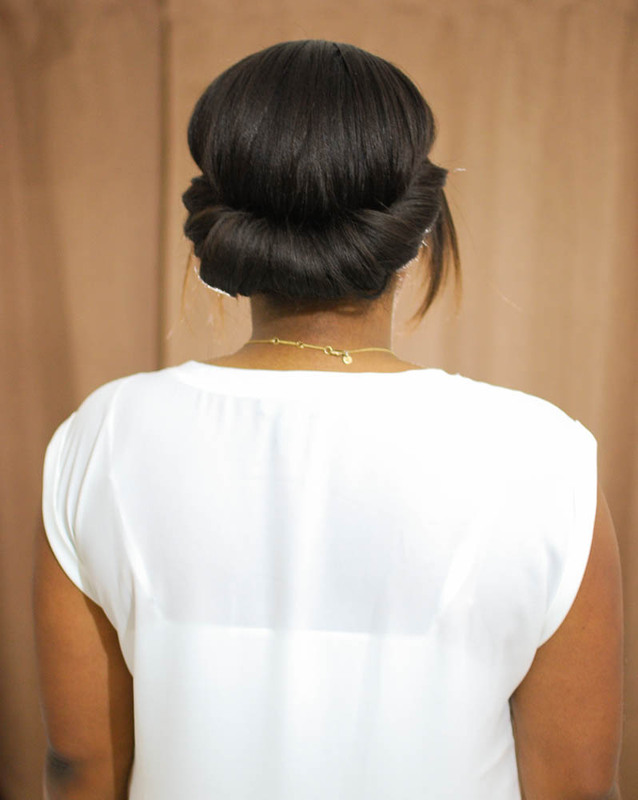 This look is lovely and seems so comfy. I like that the shift dress has pockets — always a plus. The shoes are such a great find, too! This dress is cute and simple and awesome. I love the bright necklace you added! And that camel coloured tote is wonderful. Thanks so much Alecz! You spoil me with kindness. Love the dress.Looks very comfortable and the sandals and accessories pull it all together.Looking forward to Thursday’s post. So cute! I’m still on the hunt for some chambray goodness. Also, you and Jules seriously need to go thrifting together – she loves Buffalo Exchange too! Thanks Mil! 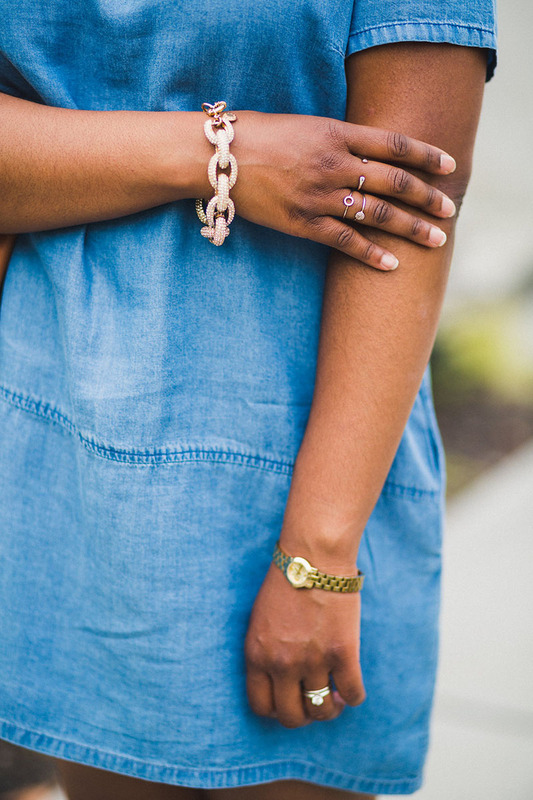 It’s so hard to find the perfect chambray. Hope you track down something you love soon. Jules and I will need to set a date! That would be so much fun. Love when you can find gently worn or even unused shoes like that at a thrift store. This whole look is so casual cute! Thank you Yasmin, you’re so sweet! Chambay dresses are my favorite and you look stunning! You have the most amazing style my friend! 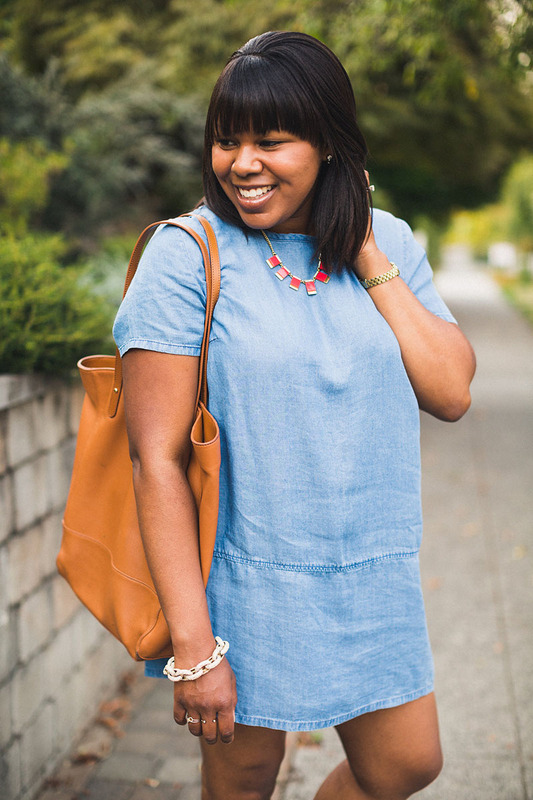 You’re rocking this chambray dress! You look gorgeous. The styling of this look and the tones are so on point. 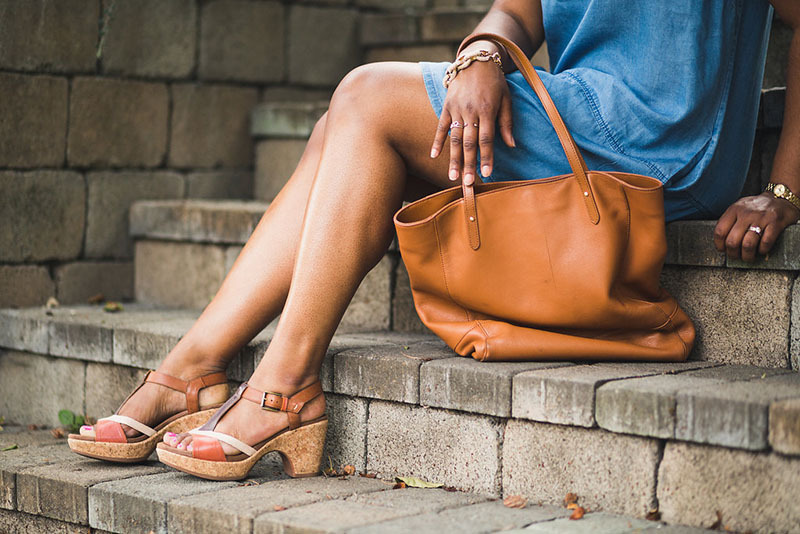 I love the pairing of the blue dress with brown accents- the bag, the multi-toned shoes, the chainlink bracelet- brava! Have a gd wkend! What a nice compliment. Thank you! You’re so sweet. Such a great dress for every day wear! I can totally see this styled with a long cardigan and boots! Thanks Tina! Good suggestion, now I know how to winterized this look. Thanks.